Go here, http://www.youtube.com/unodoublebass/videos, to hear and SEE my performances on double bass. Go here, for my old myspace music page of performances of other composers' works for double bass and electronics/computer. Go here, http://www.youtube.com/unovirtualmusic/videos, to hear and SEE the creative work of UNO students, guest artists, and myself in computer music activities at UNO. 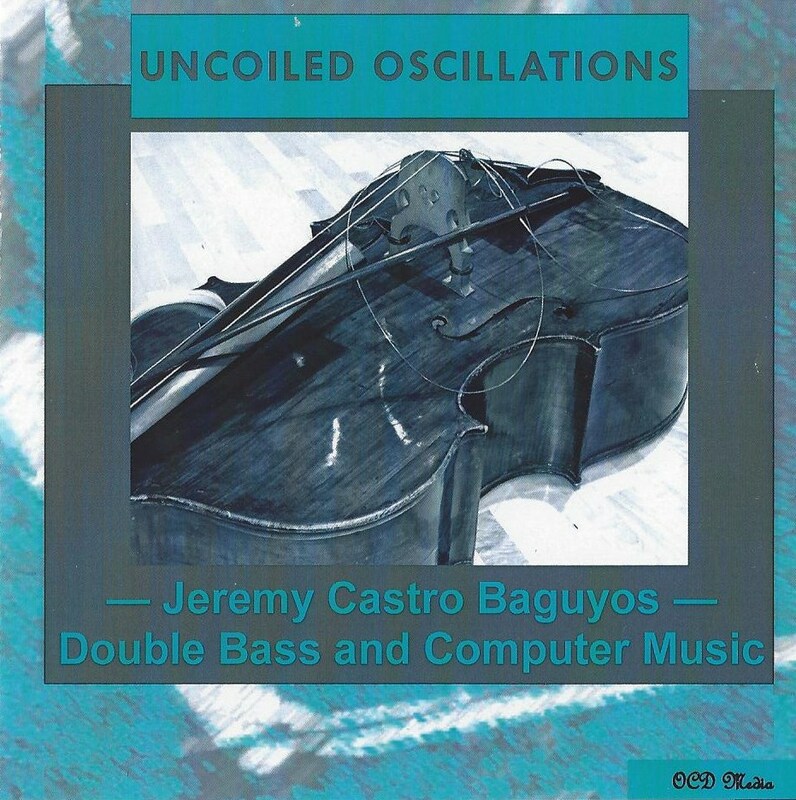 "Uncoiled Oscillations" is no longer available at Songstall. Songstall was a UK-based distributor who sold music downloads on behalf of niche artists. The CD is currently out-of-print. Copies of the CD can still be obtained by contacting Jeremy Baguyos directly. Featuring music for double bass and computer composed by Samuel Burt, Jeremy C. Baguyos, Andrew May, Andrew Cole, and Robert Hamilton. Guest performers are Robert Hamilton on computer and Chryssie Nanou on piano.